Oscar nominee Mahershala Ali is quickly becoming one of the most recognizable faces on screen. But when it comes to his name, that's a whole other matter. In a recent appearance on "Popcorn With Peter Travers," Ali told ABC News he's even used different versions of it over the years just to make it easier on everyone else. "My birth name is Mahershalalhashbaz, 18 letters from the Old Testament," Ali said. "When I was younger, I went by Hershal. And I kind of embraced more of my name Mahershala in high school and college and in grad school." But when it was time to launch his acting career, Ali decided to give the movie world a chance at tackling every syllable. He decided to use the full 18 letters of his name in his work, including for credits on films such as "The Curious Case of Benjamin Button" and on the TV series "The 4400." That lasted 11 years before Ali decided to change it back, saying that he realized even his own family members weren't using his full name. "Some of them call me Mahershala, some of them call me Hershal. That's off limits for anyone who's not family," he clarified. He says the name came to his mother in a dream. "My mom was a dreamer, a lucid dreamer. So my name came to her in a dream. She'd also seen it in the Bible. And so she felt like she had to name me that. I fought it for a little while," he admitted. For now, he's back to Mahershala. For the record, it's pronounced mah-HER-shuh-luh. Take notes, because it's a name you'll hear a lot of this awards season. Ali has already won the SAG supporting actor award for his role as a drug dealer in the coming-of-age drama “Moonlight." He's also an Oscar nominee for the same role. Ali, 42, told Travers, when he was approached about the role, it was an immediate yes. 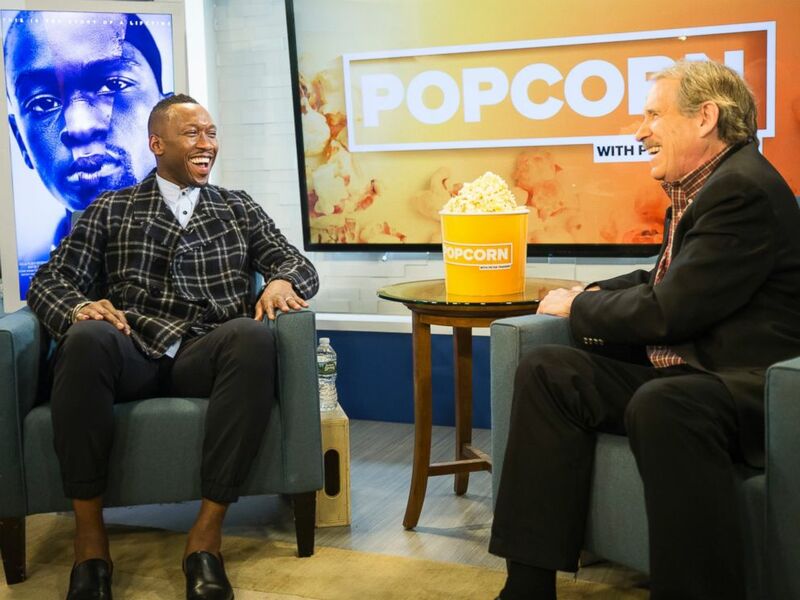 Mahershala Ali and Peter Travers at the ABC News studios in New York, November 28, 2016. "What I love about 'Moonlight' and Juan (his character in the film) in particular is he's Afro-Cuban, born in Cuba and moved over the U.S. But he's not African-American. So he's a little bit an island unto himself." Ali said that story of isolation helped develop how his character would bond with a younger character in the film played by Alex Hibbert. "It kind of connects him to this young boy, Chiron, who is struggling to come to terms with his own sexual identity, probably many years earlier than what he naturally should be coming to terms with it," Ali said, "because of some of the persecution and bullying that's going on for him. So I think in him recognizing Chiron's otherness in him, he brings out the humanity in this person. There's so much space to connect to Chiron and be a mentor to him." "Moonlight" is in theaters everywhere.